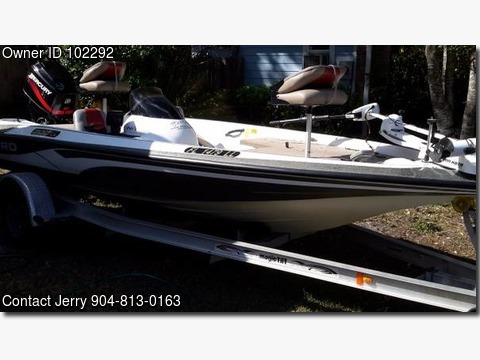 Boat is located in Jacksonville,Fl..Please contact the owner @ 904-813-0163...Great boat for the first time just moving up from a John boat or a weekend worrier,or the club fisherman who wants to step up from the back of the boat. The 90 Mercury has enough power to get you to your favorite spot without burning a hole in your wallet in the process. There is enough storage for your rods and lures plus your extra gear in case the weather turns on you. This boat also handles very well when the surface gets a little choppie.